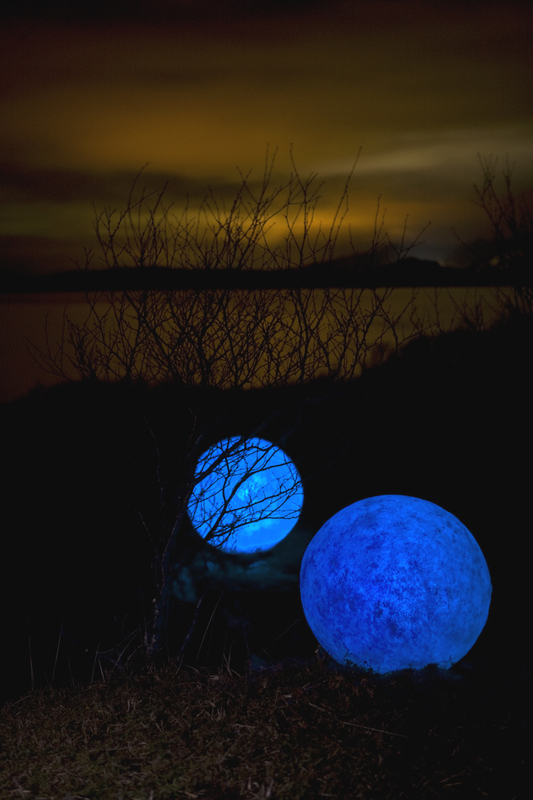 Sòlas was a night time installation work created in response to the 'new' highland constallation. The seven solar powered spheres captured sunlight sun during the day, shining it back into the night sky. The spheres glowed gently and faintly, like stars that had fallen to the earth from the sky. They sat facing the islands of Eigg and Rum on a remote rocky cliff near the edge of old woodland. The visitor reached them by a fifteen minute walk through the woods. The night time journey through the ancient forest was central to the installation itself.